It’s not often that two whiskey masterminds collaborate in the creation of something brand new. 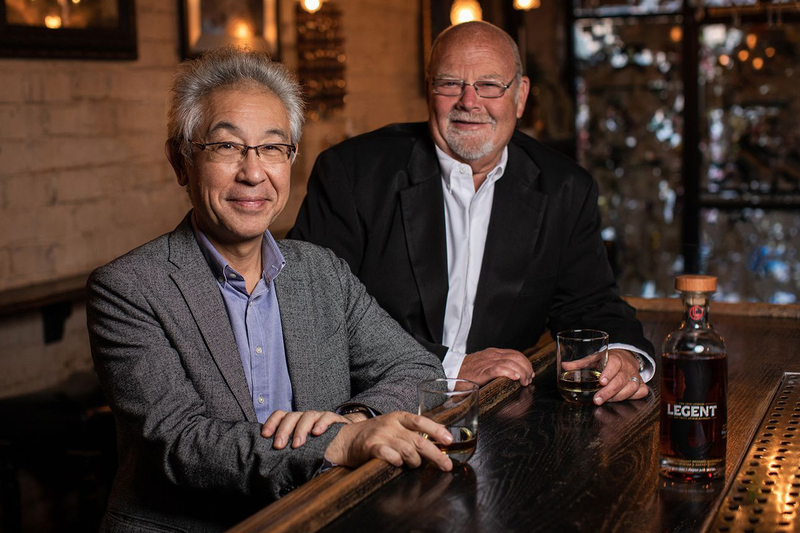 But Fred Noe, Jim Beam’s master distiller, and Shinji Fukuyo, Suntory Whisky’s chief blender, have been quietly working on this something new for the past several years. These two represent such different sides of the whiskey world, not just geographically, but fundamentally speaking. Now, they have unveiled the fruits of their labor. Legent Bourbon, a whiskey that could only be produced by combining the backgrounds and expertise of Noe and Fukuyo, has arrived. 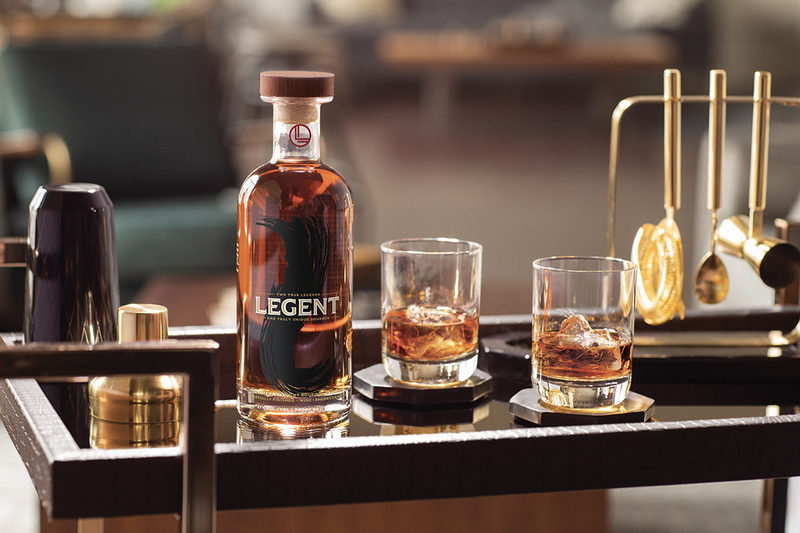 Legent begins life as a Kentucky bourbon, matured for five years. This represents the biggest chunk of the final product. The two other pieces of the puzzle see that same bourbon get finished in different casks. The first parcel finishes in California red wine casks, and the second finishes in sherry casks. All are blended together by Fukuyo. How did Noe and Fukuyo get the job done? First and foremost, by learning from each other. One key was simply accepting the notion of blending. In the States, blended American whiskey has had a negative connotation. But Noe’s son Freddie has recently been helping to change this category with his Little Book series. “Blended whiskey was kind of a dreaded term where we were growing up, but Shinji’s style is completely different,” says Noe. You’ve got to continue innovating, you can’t rest on your laurels. Fukuyo brought his art of blending to the table; but first he needed to acclimate himself to bourbon’s character and production process. “We don’t have the mash bills concept, and bourbon is made in a continuous still, so it’s totally different,” he explains. One educational step he took was going through a vertical tasting of Noe’s bourbon samples. Indeed, this included fresh distillate all the way up to bourbon aged for over 10 years. Along the way he became familiar with the character of Kentucky whiskey itself and how it changes over time. Another aspect was Kentucky’s geographical impact on the maturation process. “I’m not familiar with the bourbon climate,” says Fukuyo. As opposed to the far more temperate climate of Japan, Kentucky’s climate leads to speedier maturation. Combined, and while continuing his sampling process, Fukuyo was able to discern the way that Kentucky bourbon interacts with barrels over the years. He also observed a particular—and commonly noted in bourbon—point of evolution at roughly the four year mark. For Fukuyo, bourbon also hits a bit harder than the more subtle Japanese whisky he typically works with. “Bourbon whiskey reaches my nose much quicker than Japanese whisky,” he says. For him, the wine and the sherry both played a role in tamping that down by introducing new flavors and a more rounded profile. “I was surprised by the great flavor from the bourbon casks with sherry,” says Fukuyo. “But too much sherry masks the wine. We had a lot of discussion on the sherry finish.” Ultimately, the sherry accounted for the smallest percentage of the three components. Fukuyo and Noe led a tasting together to unveil Legent, with each of the three components tasted alongside the final blend. In this way, it was easy to see the influence and impact that both men and their skill sets had on the process. The core bourbon was rich and chewy, redolent of baking spices. The sherry cask was nutty and scotch-like, and the wine cask showcased powerful red fruits. Legent Bourbon ties all of those sides together, making for a welcome new addition to the bourbon world that steps beyond its typical boundaries. “You’ve got to continue innovating, you can’t rest on your laurels,” says Noe. We think it's time to get to know Kentucky bourbon's "fermentation guy"